While SATA 6Gbps SSDs and hard disks have become more widespread this year, the transition to SATA 6Gbps hasn't been smooth. As we found when we looked at on-board SATA 6Gbps performance back in October, the quality of on-board ports can be erratic. 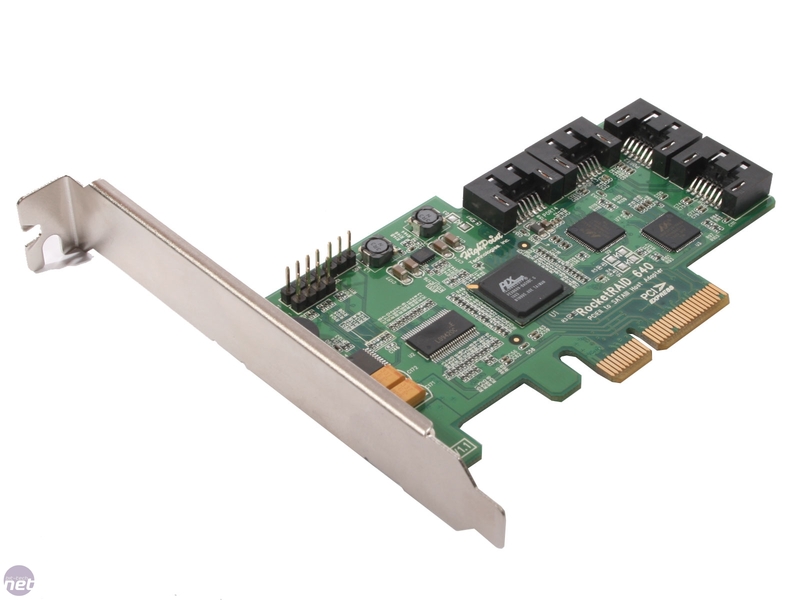 With this in mind, we recommended that buyers of SATA 6Gbps devices capable of surpassing SATA 3Gbps speeds, such as Crucial's C300 SSDs, picked up a HighPoint Rocket 620; a two-port, PCI-E 1x SATA 6Gbps expansion card. 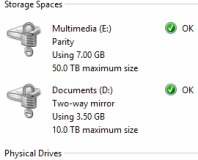 SATA 6Gbps hard drives such as Western Digital's recent Caviar disks don't require the HighPoint, as their speeds get nowhere near the limit of SATA 3Gbps anyway. However, while the HighPoint 620 offers great performance, it also has its limitations, not least the cap of 500MB/sec bandwidth afforded by the single-lane PCI-E connection. As Crucial's C300 drives are capable of sequential read speeds upwards of 350MB/sec, adding a second drive would theoretically cause problems when both drives are being thrashed. The HighPoint Rocket 620 didn't support RAID either, although HighPoint does make a RAID-supporting version. 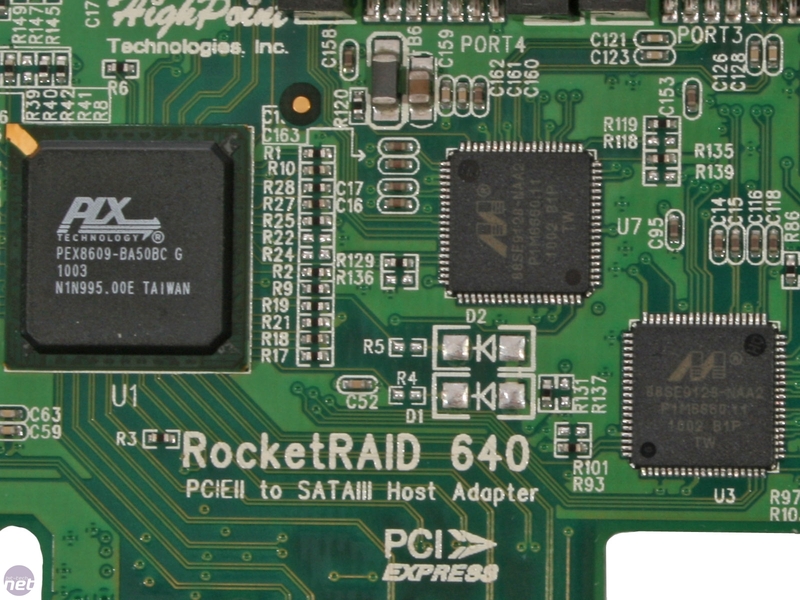 HighPoint's answer to this conundrum is its higher-spec PCI-E 4x SATA 6Gbps card; the RocketRaid 640. As well as featuring a slightly longer connector, which either requires a full-size graphics slot, or a rarer four-lane slot if your motherboard has one, the card also sports two Marvell 9128 SATA 6Gbps controllers, which are connected to a central RAID controller chip. Each controller handles the data from a pair of SATA 6Gbps ports, with two arranged on the top of the card, and another two on the front. After installing the card and rebooting our test system we were met with the HighPoint RAID configuration screen. While the RocketRaid 640 was painfully tardy when it came to recognising the drives or RAID arrays connected to it, adding a whopping 40 seconds to boot times, the setup process for an array was simple and straightforward. However, as you may well know by now, using SSDs in a RAID configuration means you lose the benefit of TRIM performance maintenance. While some drives are less affected by heavy use, the C300 series of SSDs relies heavily on TRIM to maintain performance. As such, while we'll be testing the HighPoint 640 with RAID arrays, this will really only be to test its bandwidth and performance. In real world usage, we still recommend running SSDs in JBOD on a TRIM enabled-OS in AHCI mode. 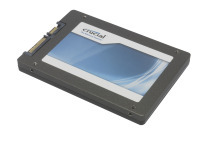 For our testing, Crucial, was good enough to provide us with not one, not two, but three C300 256GB SSDs. These are currently the fastest consumer SSDs on the market (until CES at least), and we were eager to see the speed of three of them in a RAID configuration.